Alaska is more than double the size of any other state, which is why it's no surprise that you can take a cruise, plus travel for weeks on land -- and still not see the half of it. 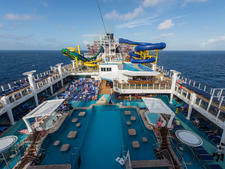 Maybe you've done an Inside Passage cruise, explored Denali National Park and sailed past Glacier Bay. But if you haven't seen the Kenai Peninsula before or after your cruise -- well, you still haven't experienced the best that Alaska has to offer. First, let's clarify what we mean by "Kenai." The Kenai Peninsula is a 9,000-square-foot outcrop in Southcentral Alaska, with everything you could imagine when you think of the Last Frontier: endless mountain ranges, glowing blue glaciers, rivers full of salmon with bears patrolling the rugged coastline, quirky towns and an abundance of wildlife from moose to mushrooms. History is also plentiful here: The Gold Rush hit the towns of the Kenai Peninsula in the late-19th century (establishing Cooper Landing and Hope), but indigenous tribes occupied the region way before that. The Chugach National Forest, the second-largest of its kind in the United States, occupies more than 5,000 acres -- a portion of which covers the northeast territory of the peninsula. There is a Kenai mountain range, Kenai River, Kenai Fjords National Park and even a town named Kenai, but for the purposes of this article, we're referring to the overall Kenai Peninsula, which extends for roughly 150 miles. Alaska cruises don't technically visit the Kenai Peninsula, although both major cruise ports for embarkation and disembarkation -- Seward and Whittier -- are actually located within the region. 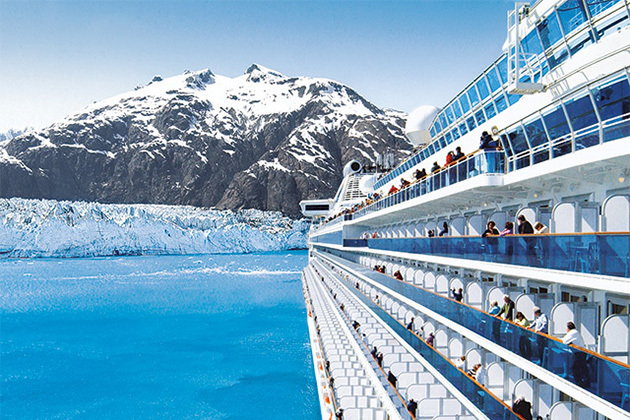 Most cruisers will begin or end their trip in Alaska's largest city (and airport), Anchorage, which is technically outside the peninsula, but just north of it by about 50 miles. Anchorage's close proximity to Kenai, and its variety of accommodations, make it a nice jumping-off point for day trips to the area. However, there's nothing like waking up in a Kenai valley beset by its own mountains, ice fields and rushing turquoise waters, stretching to the horizon. Whether you're planning a pre- or post-cruise stay in the Kenai area, taking a day trip to fish or kayak, or simply passing through, the spectacular scenery and wild inhabitants will hook you like the day's catch. As Kenai is home to Alaska's cruise ports, the time to visit the peninsula syncs up nicely with Alaska cruise season: May through September. Conditions vary throughout Alaska, and the weather is known to shift day to day and month by month. For this reason, be prepared to experience sparkling sunshine, gray drizzle and damp downpour -- on the same trip. Temperature and precipitation aren't the only elements that fluctuate and can affect a visit to the Kenai Peninsula; bugs, fish and bear-viewing also change throughout the summer. The height of bear activity typically comes in midsummer (July), but so do the mosquitoes. August is a bit cooler and will be less buggy, but then the salmon that run in the rivers will be different. If you're visiting Kenai for a specific reason (like catching a prize-winning king salmon), be sure to plan around those exact weeks, but expect tours and hotel rooms to fill fast for the same reason. Almost any Alaska cruise that begins or ends within the state will embark or disembark in Seward or Whittier. At the top of the peninsula is the once military fortress of Whittier, typically layered in cloud cover, and just under 90 miles south lies Seward, at the end of the Alaska Railroad. Car rentals, shuttles and the train all serve these port cities with service to Anchorage. While Anchorage isn't part of the Kenai Peninsula proper, a visit to the region could easily begin or end there. 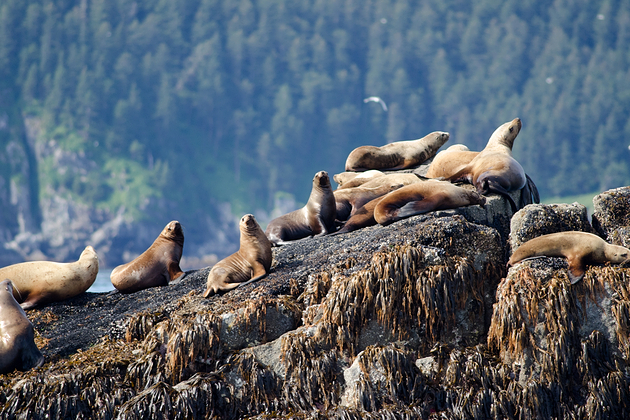 Even without a full land tour planned, setting aside just one additional day in cruise ports Seward or Whittier opens up a Pandora's Box of possibility, with multi-hour tours of natural wonders by land, air and sea available. 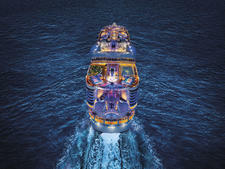 We will focus on the eastern and central parts of the peninsula, closest to the cruise ports. However, the entire west coast is full of points of interest (and clams) and is drivable in five hours from Anchorage, concluding in Homer on the southern tip of Kenai. Another option is to book a cruisetour -- also known as a land-and-sea journey -- with your cruise line that will include travel and even overnights within the Kenai Peninsula. 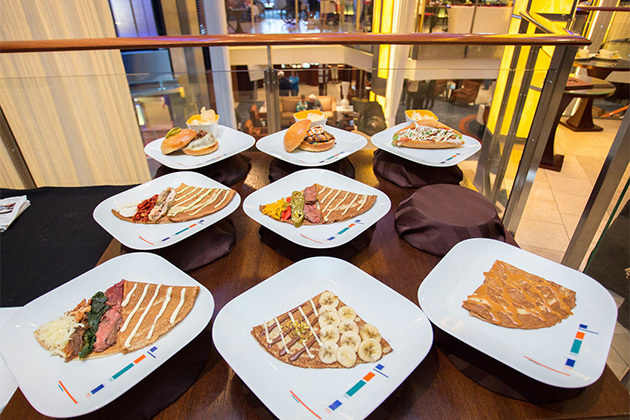 Princess Cruises and Holland America Line dominate mainstream Alaska cruising with tons of cruise itineraries offered, land partnerships with local operators and their own custom lodges peppered throughout the state. 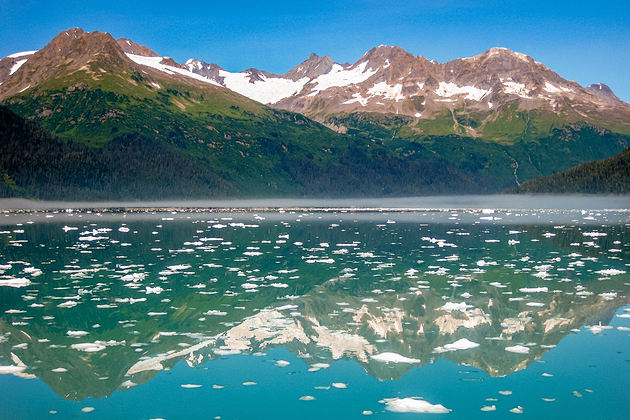 However, if you're looking for a cruise with a land package that extends into the Kenai Peninsula, choose Princess. Princess Cruises offers itineraries with time at their exclusive Kenai Princess Wilderness Lodge, located in the Gold Rush community of Cooper Landing. While Holland America focuses its longer itineraries into the Yukon region, Princess offers stays at its Kenai property included in its 12- to 15-night Connoisseur tours, or its 13- to 14-night Off the Beaten Path Alaska cruisetours. 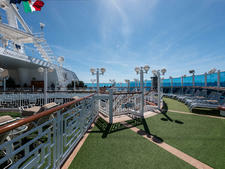 Princess Cruises utilizes the Whittier cruise port. Take a Road Trip on the Seward Highway: The Seward Highway -- one of Alaska's Scenic Byways -- twists 127 epic miles from Anchorage down to Seward. The trip only takes two-and-a-half hours, but factor in plenty of buffer time to pull over at the scenic rest stops -- a little wildlife-viewing, picture-taking or simply existing in your surroundings, is just part and parcel of the journey. Also, if you're traveling during the right time of the lunar cycle, don't be surprised to see surfers as you come around the Turnagain Arm -- a natural phenomenon called a bore tide allows Alaskans to hang ten in waves caused by extreme low tides (and phases of the moon). Seek Glaciers in Prince William Sound: Whittier is the entry point for the incredible treasures of Prince William Sound. With tidewater glaciers in abundance, day cruises tout that you can see up to 26 glaciers on a clear day (manage expectations on the weather). Still, the chances of seeing whales, seals, porpoise and even mountain goats is high, and the protected bays of PWS mean the chances of feeling seasick are slim to none. Park rangers narrate boat trips as you sail past stunning College Fjord; if you want to feel closer to the water, kayaks, paddleboards and Jet Ski rentals and guided trips are also offered from Whittier. 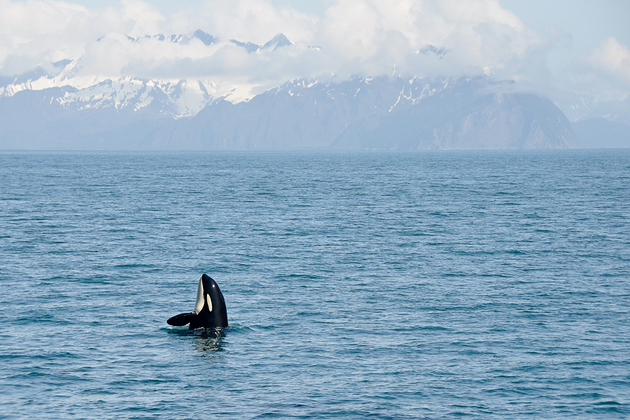 Spot the Wildlife of Kenai Fjords National Park: Further south, Seward is known as the "Gateway to Kenai Fjords National Park." Hundreds of thousands of acres comprise this national park where puffins inhabit the rocky cliffsides and whales roam the deep waters. While nature-viewing remains abundant, the area is also a testament to the effects of climate change as glaciers drastically recede and animal migratory patterns shift. Tour Exit Glacier, one of the more accessible glaciers, as it has receded nearly 1,000 feet in just seven years. For advanced hikers, Harding Icefield provides an 8-mile challenge, but the view is a just reward. Get out on the water with a kayak or standup paddleboard and glide past icebergs and icy monuments near the glowing Bear Glacier. Or, take one of the boat tours; some even stop off on Fox Island for a salmon dinner. Enjoy a Fishing Haven: Whether you're an expert or an amateur fisherman, the waters of the Kenai Peninsula are teeming with fish (just don't forget to buy a fishing license, it's a strict law). 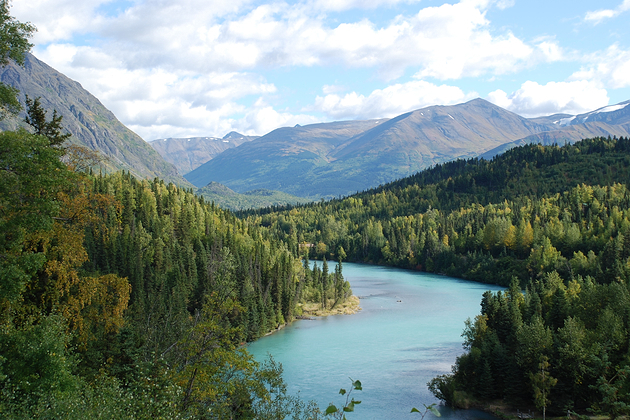 Nearly every town will offer fishing charters or guided day trips that will take you right to where the trout are (try the Upper Kenai River), as determined by the knowledgeable locals. Cooper Landing is a quaint little town at the confluence of the Kenai and Russian Rivers and Kenai Lake (Quartz Creek is also nearby). Seward and Homer offer halibut and rockfish. If you'd rather look and not touch, there are plenty of salmon-viewing areas scattered around the peninsula, so during the summer months when salmon spawn, you can see them jumping out of the water (and possibly into the mouth of a bear). Visit Remote National Parks: Some of the most remote (and gorgeous) national parks in the country are just a floatplane ride away from the Kenai and Anchorage area. About 70 minutes west from the peninsula is Lake Clark, in Port Alsworth, the second-least visited national park in the U.S. (Gates of the Arctic is #1, also in Alaska). This haven for coastal brown bears offers all-day tours around the emerald lake with a cozy lodge lunch. You might recognize Katmai National Park and Preserve, to the south, from National Geographic footage of bears standing in the rushing waters as salmon leap to be lunch. Aptly named King Salmon, tours to this area of Alaska are the highlight of many visitors' vacations. Hide Out in Homer: Located on the Kachemak Bay -- Alaska's first state park and only wilderness park -- Homer is a haven for flora and fauna, but also offers an artsy and eclectic vibe. It is indeed one of the farthest reaches of the Kenai Peninsula, but the unique blend of natural environment and invention make Homer equally appealing to shop or sightsee. Gallery Row Walk is where you can find dozens of galleries and artists who might have captured the perfect piece of Alaska to bring home as a souvenir. From Seward, it is a four-hour drive. A 45-minute ferry will bring you to Seldovia, and the other side of the bay, if you want to dive even deeper into Kenai's small towns. Most cruise ships leave out of Seward and Whittier -- not Anchorage. Even if your itinerary lists Anchorage as a port, it likely means airport hub. Be sure if you're organizing your own Kenai Peninsula land tour, to leave plenty of time to transfer to your actual embarkation port. 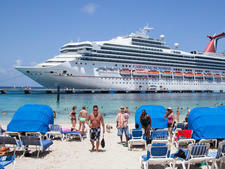 Some tour operators offer transfers that include a tour, so no sightseeing time is wasted getting to or from your cruise. Since tourist season in Alaska largely mimics the summer months of the cruise season, be sure to book way in advance (up to a year or more) if independently arranging hotel stays and some tours. In Seward, the Fourth of July and second week of August host major events for the city -- expect a higher-than-average volume of people. Our local sources tell us late May through early June can be some of the best weather you'll find in all of Alaska. It's important to note that many parts of the Kenai Peninsula (like much of Alaska) are only accessible by boat or plane (which you can find in spades, for a price). Without a tour, water taxis and private flights are available, but out in untamed backwoods, having a guide is always a safe choice. If you're looking into one-way car rentals, be aware that Seward to Anchorage might be an easier bet than Anchorage to Seward. Drop-off fees in Seward (if available) can be excess of $200 so always agree on a price ahead of pickup. If you're planning on driving in or out of Whittier, the tunnel is only open to one-way traffic, and is also used by the train. Get a schedule for the Anton Anderson Memorial Tunnel and be ready to pay the toll (also only one way, going into Whittier). Plan ahead if you have a tight schedule, so you don't miss your time slot (it's typically only 10 to 15 minutes). The Alaska Railroad is cashless. If you are planning on taking a scenic rail ride through a portion of your Kenai Peninsula cruise, make sure to have a card on hand. Fish (and food in general) can be a little pricy in restaurants, but it's almost always worth it. Microbrewing has exploded in the 49th State. Be on the lookout for local beer, and if you're looking for the eponymous Kenai River Brewing Co., it's in Soldotna, northwest on the peninsula. The magic word for all of Alaska: "layers." With the possibility for whipping winds, glaring sun, rain or cold, packing plenty of layers like breathable shirts, fleece jackets, waterproof shoes with gripping rubber soles and wool socks (not cotton) will help you stay warm and dry, and can make all the difference on a long day trip hiking in the woods or on the water. Charge your camera battery/phone, and clear your memory card each night. There are ample photo opportunities, and you never know when you're going to get the shot of a lifetime.